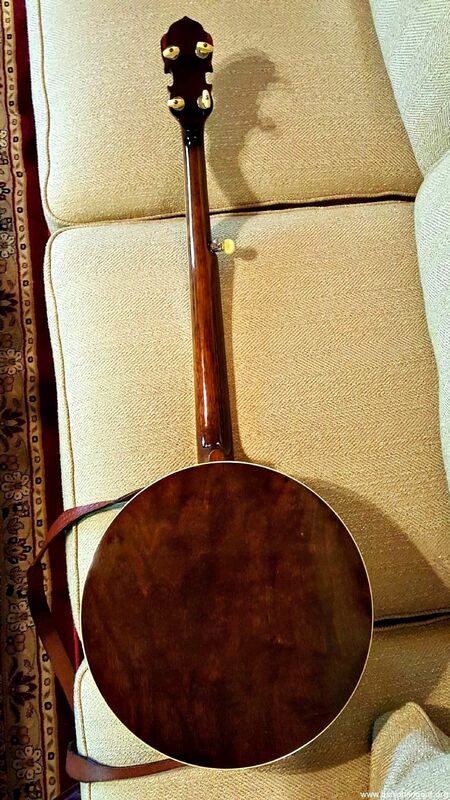 1930 Gibson TB2 to RB2 Pre-War Conversion. Factory order # 9691-27. This Truly Excellent Conversion was Built by Jim Yarboro of Gunbarrel City, Texas, in June, 1992 as a family birthday gift to their father. Nothing was spared! 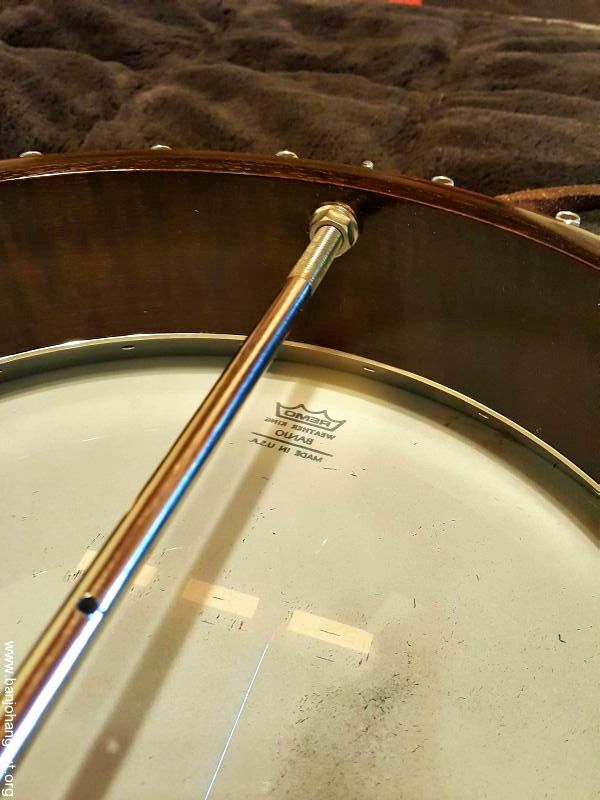 The pot is all original with a beautiful original finish on the 4 lug walnut resonator. 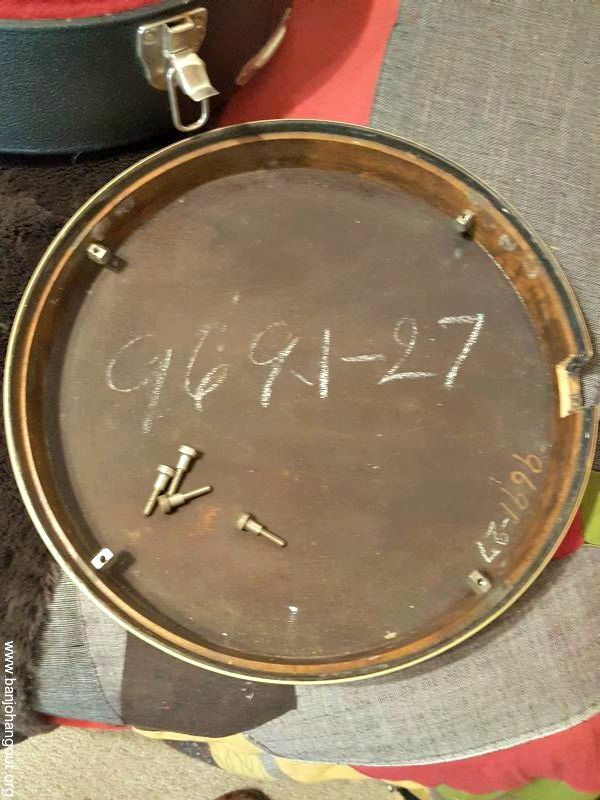 The rim was hand fit by Jim for a Steve Ryan 20 hole flathead ring. All hardware is original. 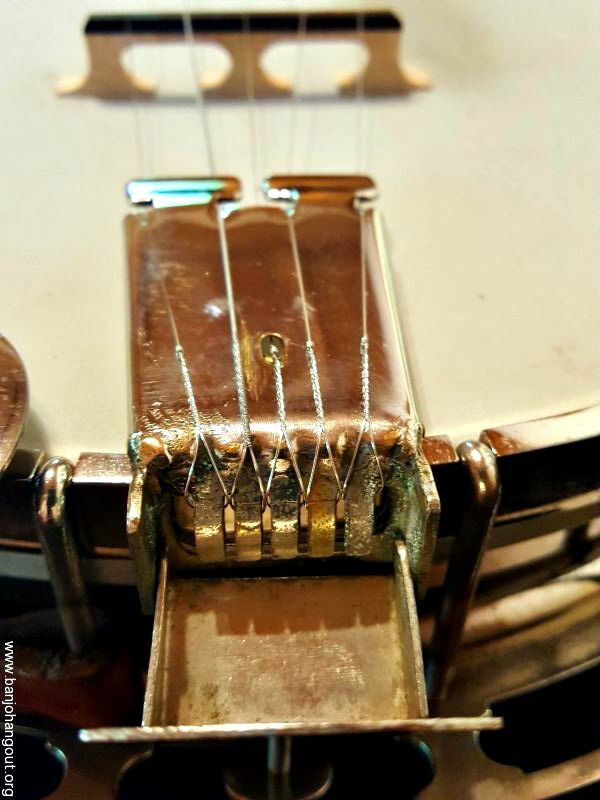 The Presto tailpiece is original to this banjo and was punched under the cover so it doesn't show. 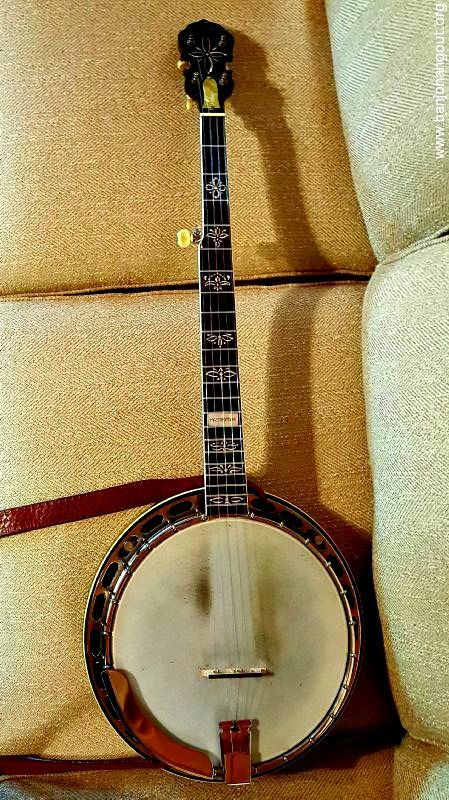 It sports a great 5/8" Scorpion Bridge and GHS "Almost Medium" PF185 strings. 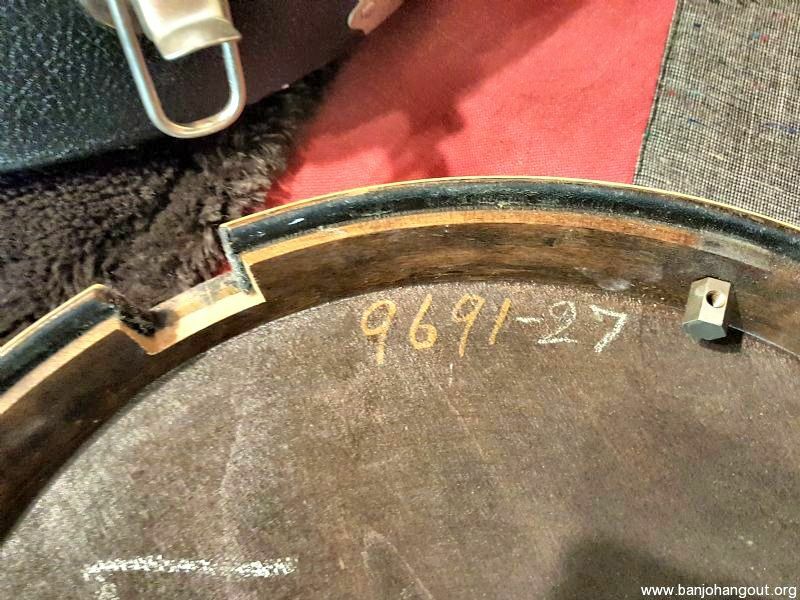 The original one piece flange has minimal natural "pull". The head is a "pre-EPA" Remo in great shape. Single coordinator rod. 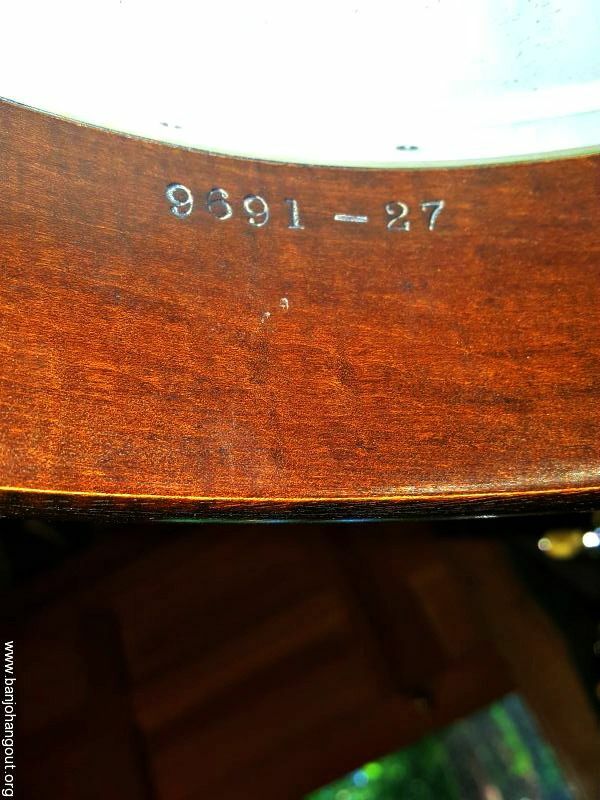 Rim and resonator numbers are correct and clear. The sound is wonderful! 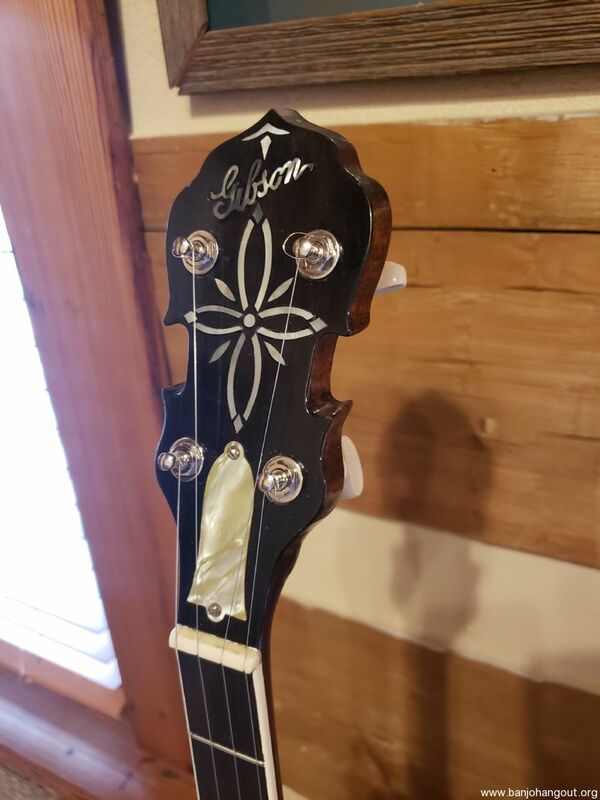 The low profile neck was built from 100+ y.o. 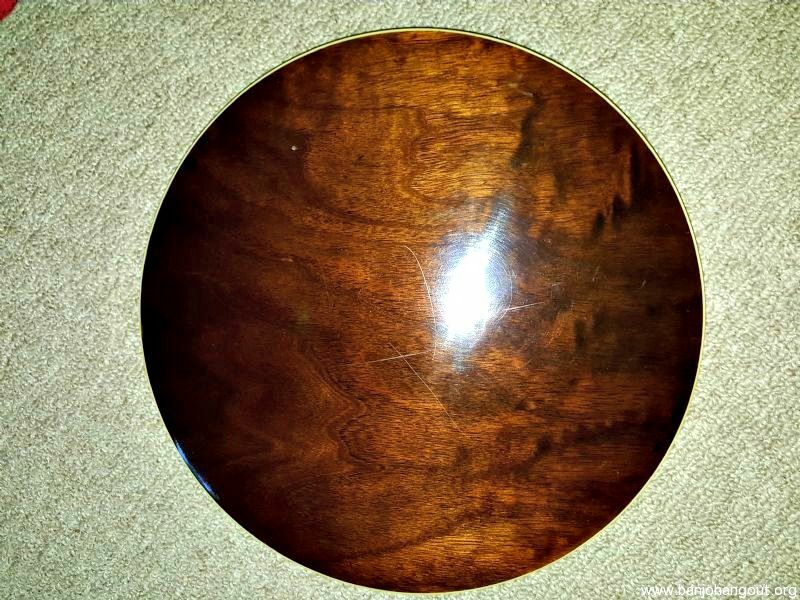 Mahogany taken from an antique piano. 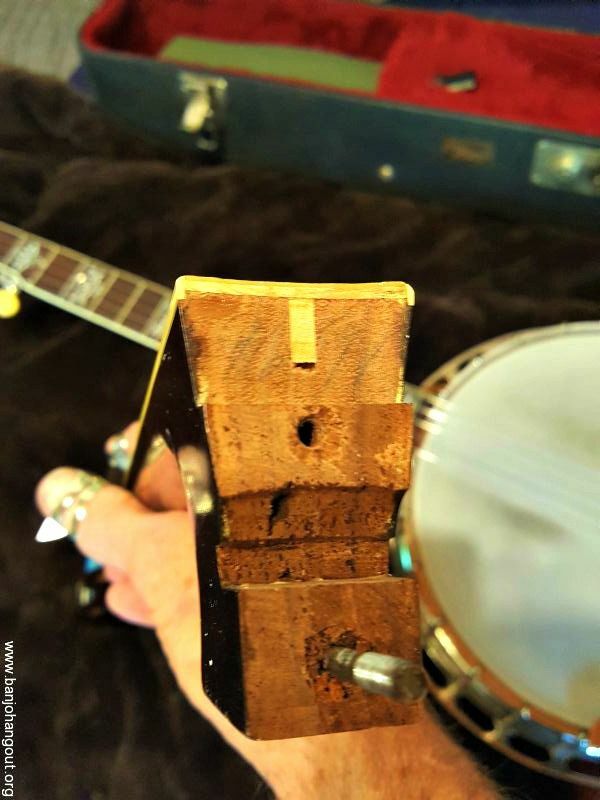 I was told by Charlie Cushman that Mahogany is his preferred replacement combination on a normally walnut banjo. 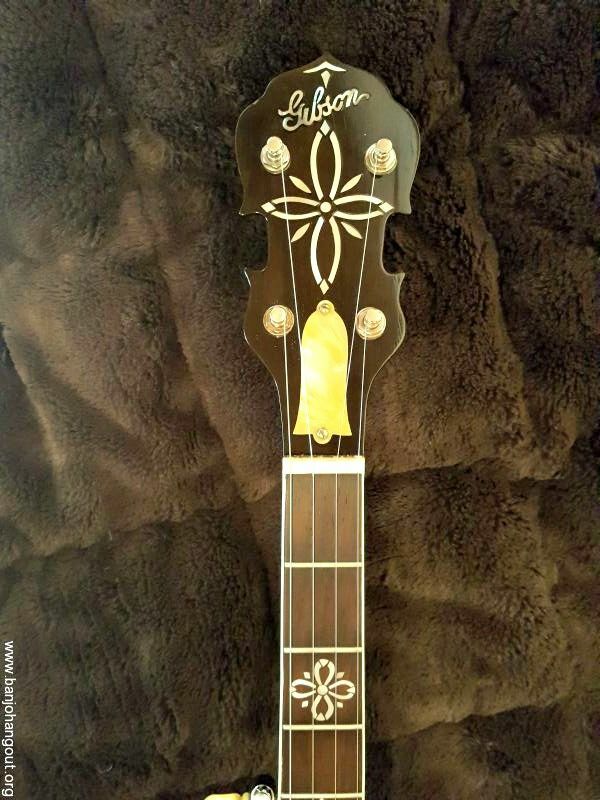 It has a two way truss rod and Jim used the yellowish truss rod cover from the original neck. 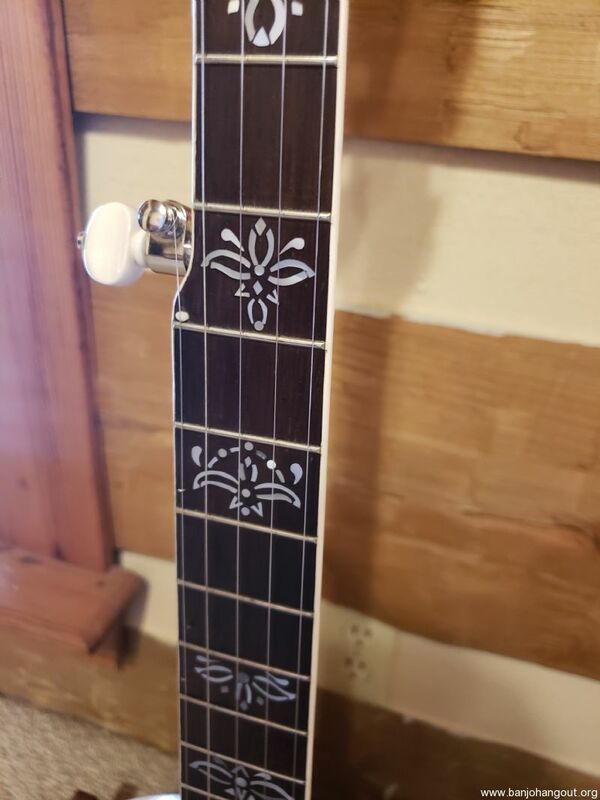 The fretboard is Brazilian rosewood with hand-cut MOP inlays matching the original Type 2 stencils. 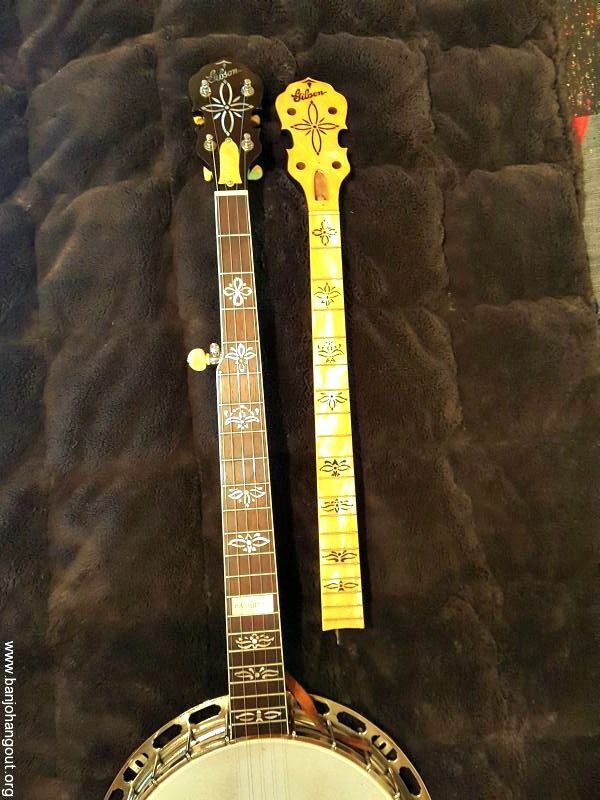 Beautifully inlaid and I've never seen another like it in pearl. 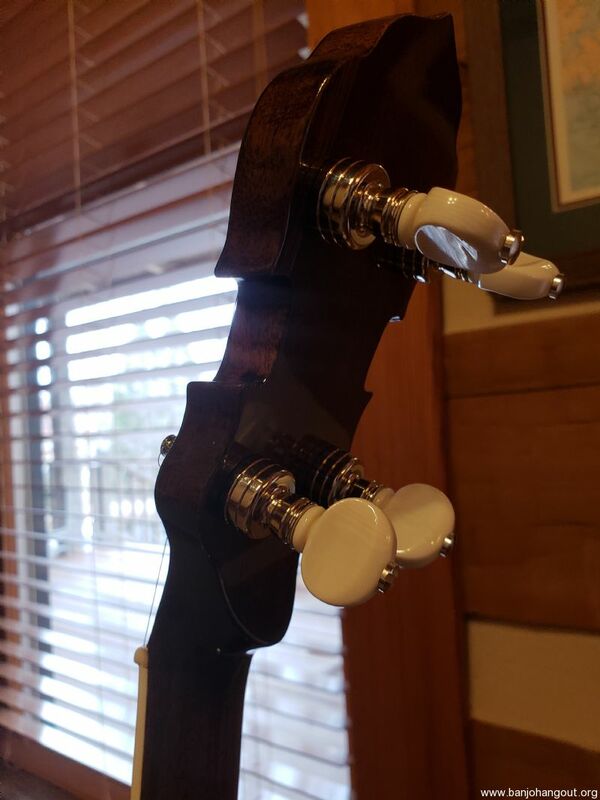 Frets are in perfect shape and the set-up is as well. 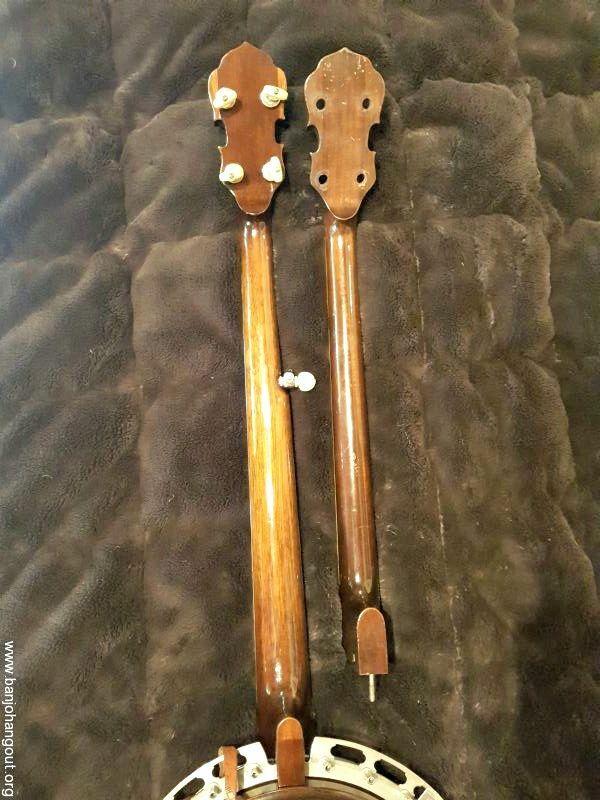 Original Tuners and tenor neck are included. 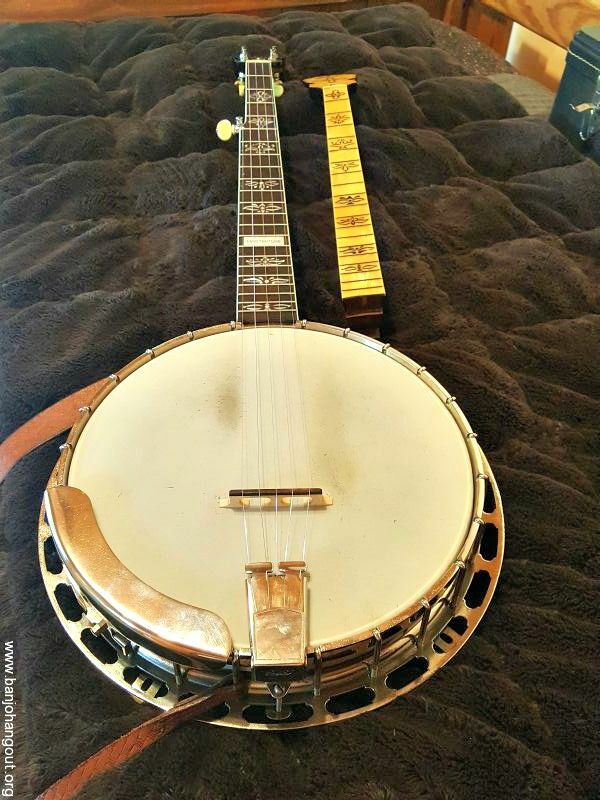 When I bought this banjo from Doc's family, it was hand delivered first to Jim Yarboro and he was gracious enough to check it over and set it up for me. The heel cut is perfect with the correct hairline gap at the tension hoop. 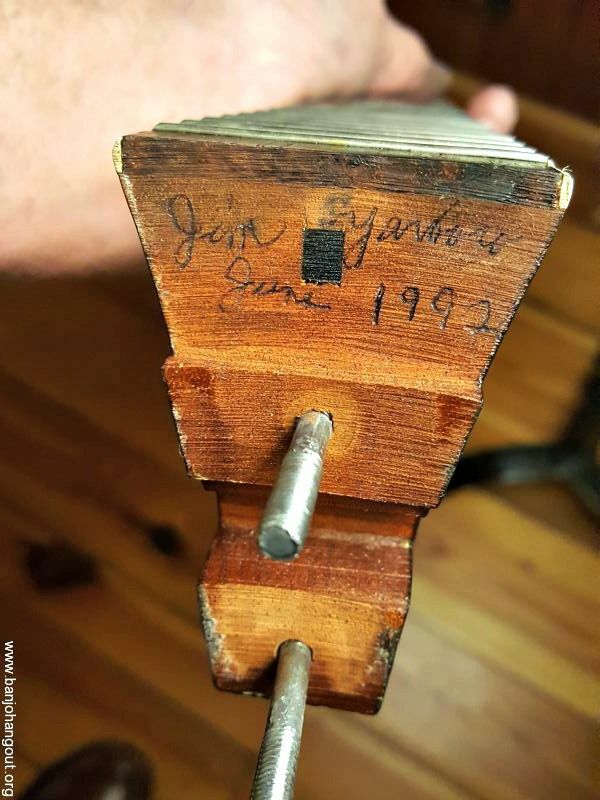 The heel is signed and dated by Jim. 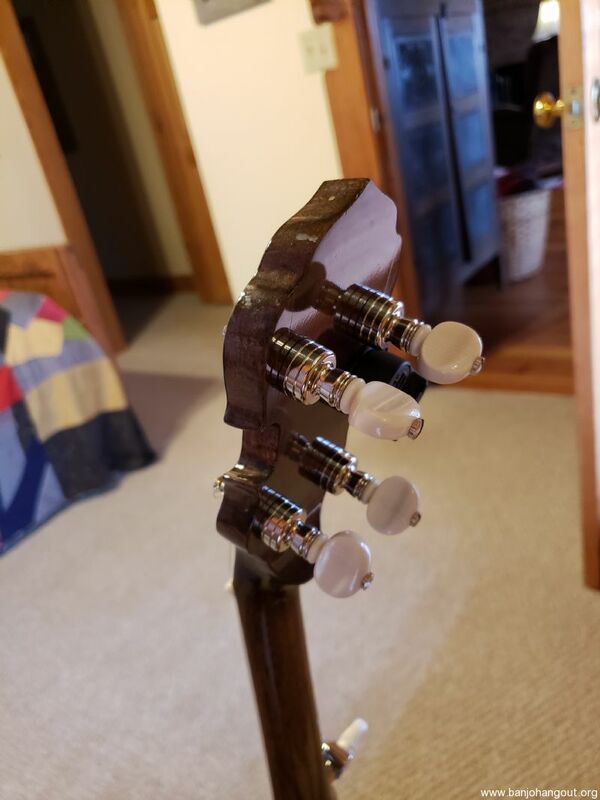 New Gotoh Tuning Machines with grained Ivoriod buttons. You won't find a nicer one...period! 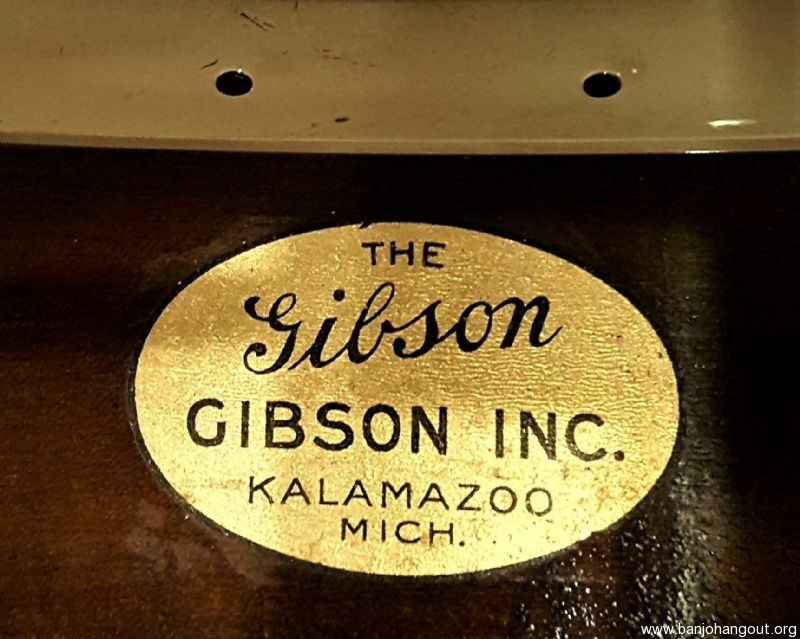 I bought, sold and traded Gibson banjos for nearly 10 years looking for one of this quality. Because I am such a poor player, I've decided to drop my pride and let it go, hopefully to someone who can do it justice. There is no "hype" in my description and no apologies. No trade offers please. 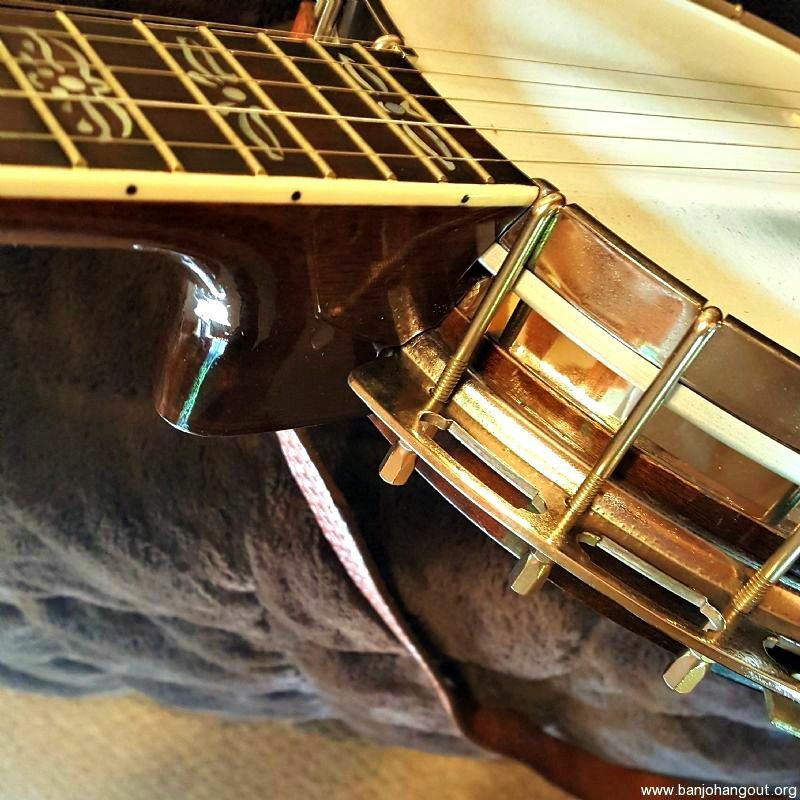 You will be proud to own this banjo!